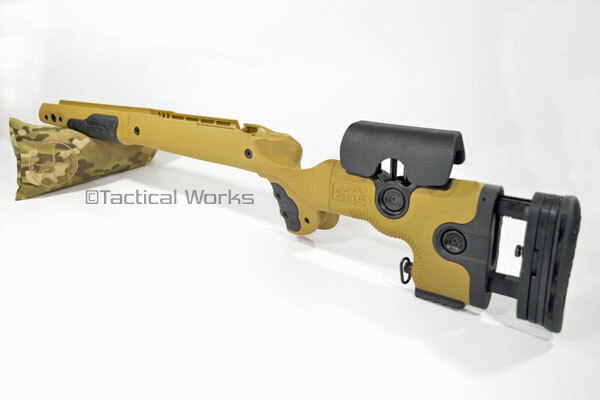 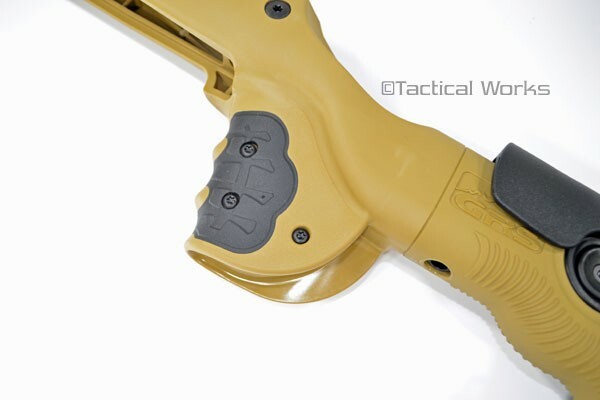 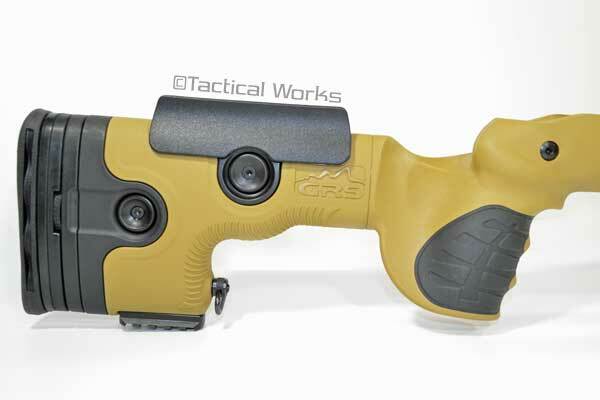 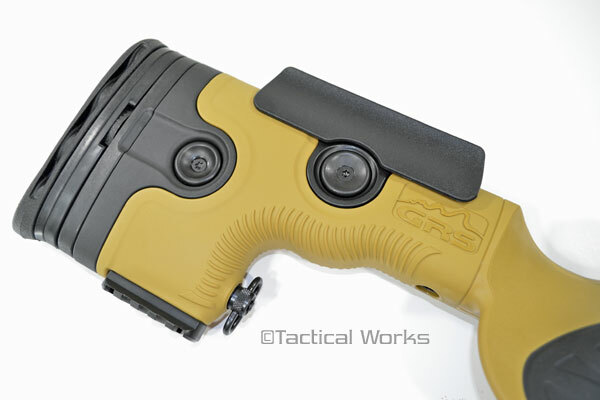 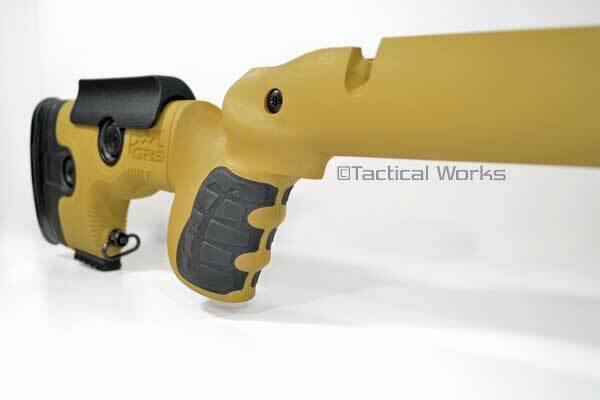 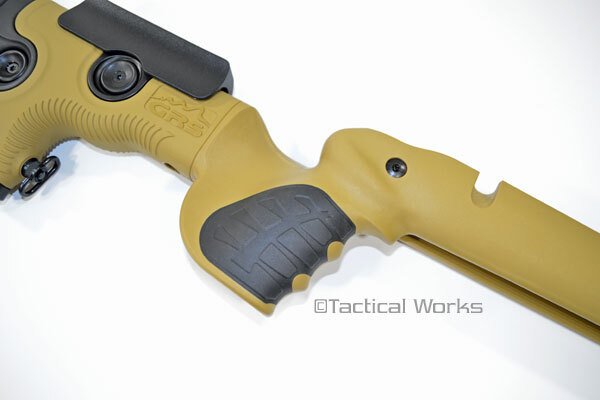 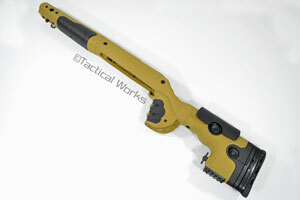 Tikka T3 Bifrost Stock Brown by GRS :: Tikka T3 Stocks :: Tikka T3 :: Tactical Works, Inc. 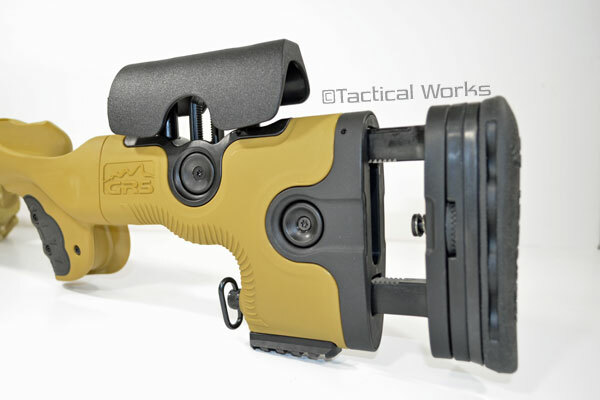 The GRS Bifrost is the ultimate adjustable rifle stock. The main body of the Bifrost is a glass fiber reinforced composite material with rubber surfaces on the grip and forend for full control during handling. 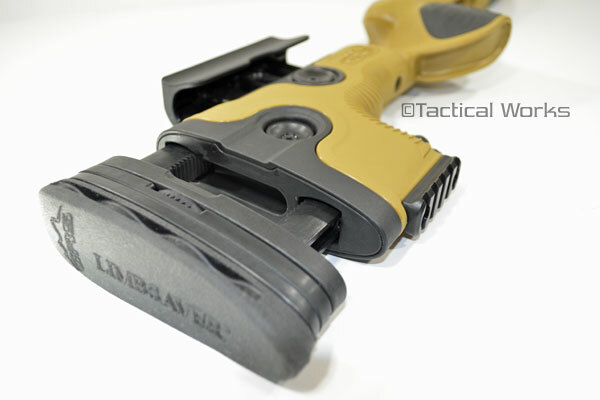 The SpeedLock 2.0 system has LOP and Cheekpiece adjustment like the original but also includes a height adjustable and canting adjustable recoil pad. 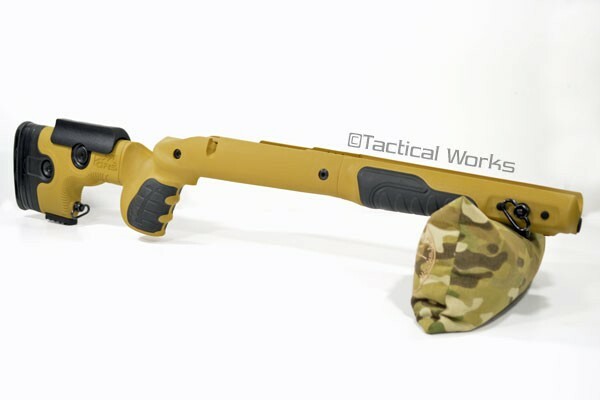 This allows for the perfect stock to shooter fit. 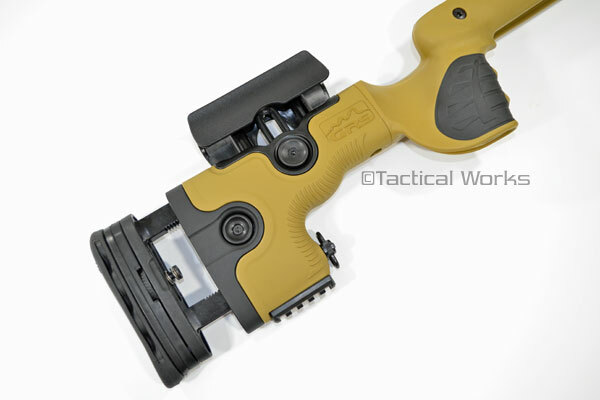 The SpeedLock 2.0 will withstand the recoil generated by the heaviest calibers. 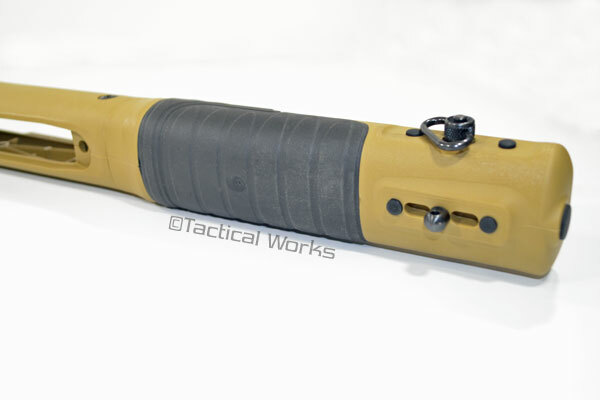 Picatinny rail mounting points are located on the bottom and both sides of the forend and the bottom of the buttstock making for easy installation of monopods, bipods, lights and other devices. 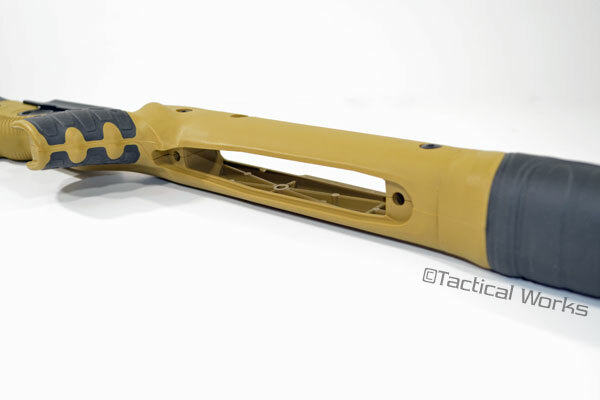 Two picatinny rails are included with the stock.